Hey everyone! It’s been an amazing weekend for me. I attended the beautiful wedding of my homies Lex and Dan on Saturday and checked out the 2010 SF Zinefest on Sunday. More to come on both of those events soon. 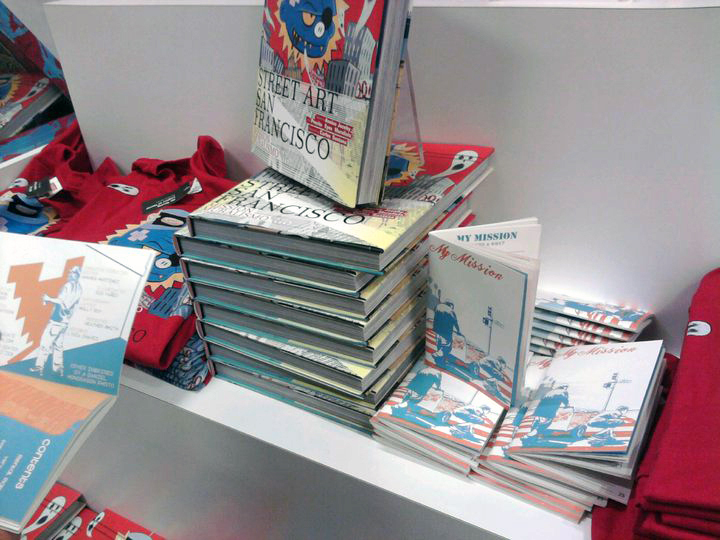 The big news swirling in my head at this very moment is that the de Young Museum store is now carrying copies of the book I illustrated, My Mission. The Mission Loc@l staff and I are encouraging the de Young to stock more copies of the book so if you haven’t picked one up yet and want to support my work the de Young store is a good place to get one. Thanks! Do you need unlimited articles for your blog ?